Things Trunks would never say. 1.What the heck how can I naturally have purple hair! 2.Why can't I have a tattoo mom! 3.Mom for my birthday I want a doll house. Things the Dragon would never say. 1.Can't you go to a wishing pond. 3.I'll give a wish alright, anytime anywhere in Canada for only 50 cents a minute. Things Piccalo would never say. 1.Hey Gohon want to see a magic trick I am going to chop of my arm and grow it back! 2.Let us settle this like gentlemen over a cup of tea. 3.I'm so ugly my mother had to use a slingshot to feed me! Things Gohon would never say. 2.Mom can you just shut up for one second and listen to me. 3.You gave me a brush cut mom! That is so in the 80's! Things Vegeta would never say. 1.Trunks I think it's time we spend some quality time together. 2.My Bulma your looking pretty today. 3.I really need a haircut. Things Gokou would never say. 1.Hey Vegeta let's go rob a bank!! 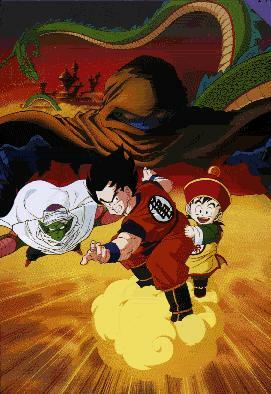 2.I hate you Gohon now that we have Goten we don't need you anymore. 3.I think I should become a ballerina.